The early days of the New Year are typically fruitful for new leaks and 2018 won't make an exception. HTC is expected to launch two devices in the first quarter, with one of them being a new flagship named U12. Its first alleged render surfaced, revealing a massive display, that some rumors even say will have 4K resolution and no bezels from three sides. 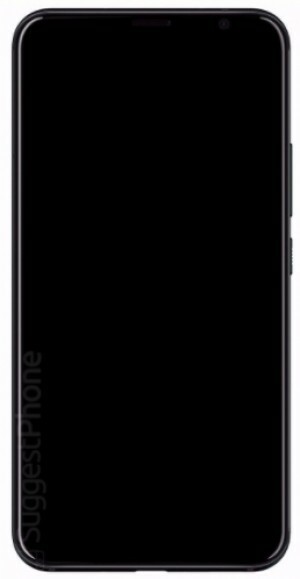 The image reveals the phone will have a power button and a volume rocker on the right side. The USB port is the only thing on the bottom, while a 3.5 mm audio jack is missing, as is tradition with latest HTC phones. The fingerprint scanner will most likely be on the back. The HTC U12 will also probably have Edge Sense, enabling squeeze gestures. Other rumored specs include Snapdragon 845 and dual-camera on the back.